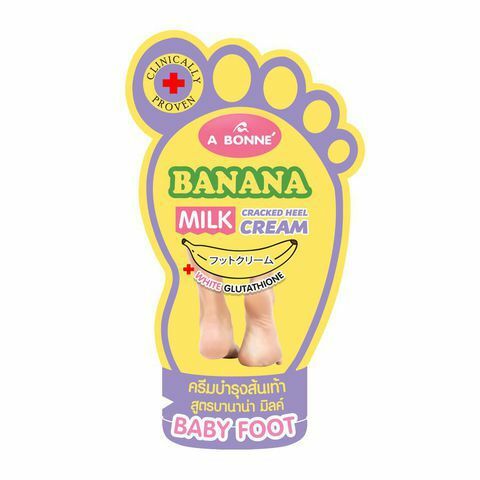 A Bonne' Banana Milk Cracked Heel Cream 15g is a baby foot formula, which contains Shea Butter that makes your feet baby soft, Pure Milk Protein and Concentrated Banana Extract that adding intensive moisture to the skin improves the appearance of cracked heels. Glutathione and Aloe Vera help brighten and soothe cracked feet. 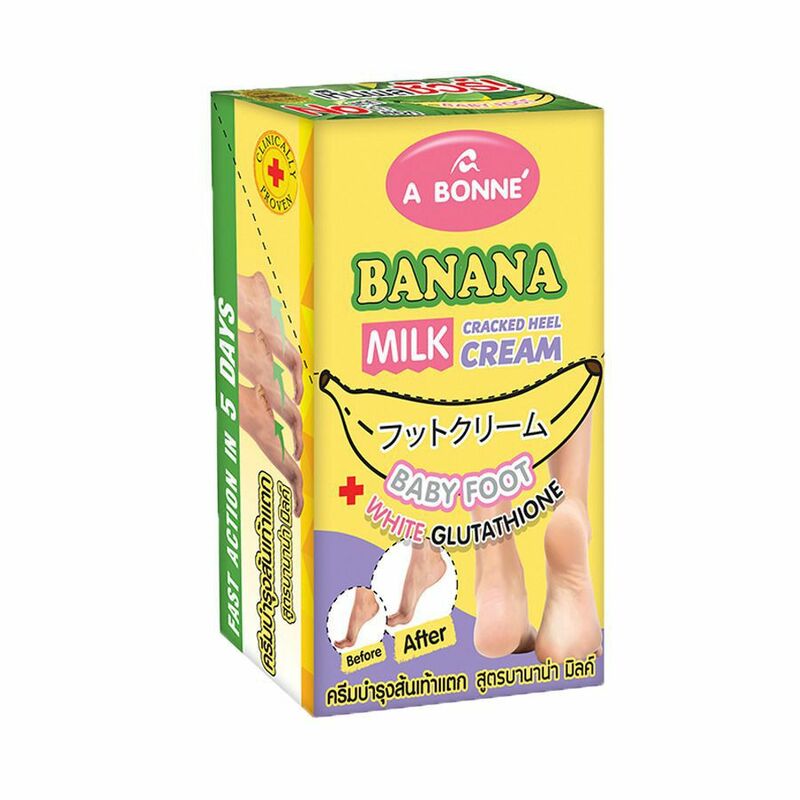 The unique formula of A Bonne', non-greasy and easily absorbed, combines intensive ingredients so that skin is noticeably baby soft, supple and velvety smooth.